The cast members pose for a group photo at the news conference for Chinese action disaster movie SkyFire in Beijing, April 14, 2019. 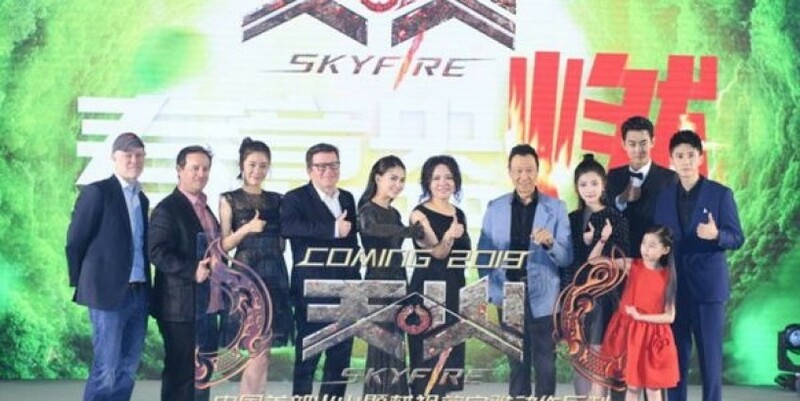 [Photo/chinaplus.cri.cn] SkyFire , a Chinese action disaster movie directed by Hollywood film director Simon West, is to hit the global screen later this year. "It is a big action adventure, but what attracted me is the emotional call," said Simon, known for directing blockbuster action films, such as Con Air , Lara Croft: Tomb Raider and The Expendables 2 .